New Price! 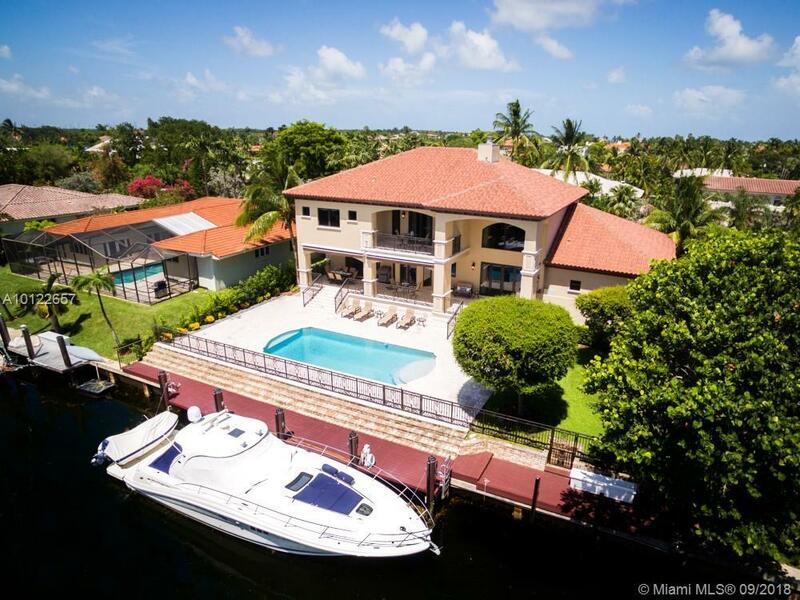 Tremendous waterfront value & exceptional home in gated Gables by the Sea. Built in 2008, 5BR/ 5BA, offers elegance, craftsman-styled designs, & 100 ft. dock w/ direct ocean access. No bridges to bay! Indoor/outdoor design features spacious light-filled living areas, soaring volume ceilings, impact windows/drs, & water vistas thru-out. The best of the best finishings w/ custom millwork, natural stones, & Brazilian teak wood. Enjoy a large covered patio overlooking beach entry pool & waterway. 2 CG. Directions: SW 128 St To 57 Ave. Enter Community Via Lugo Ave. Rt At First Stop Sign, Left On Bella Vista Ave, Left On Nevada St. House Is On Left.